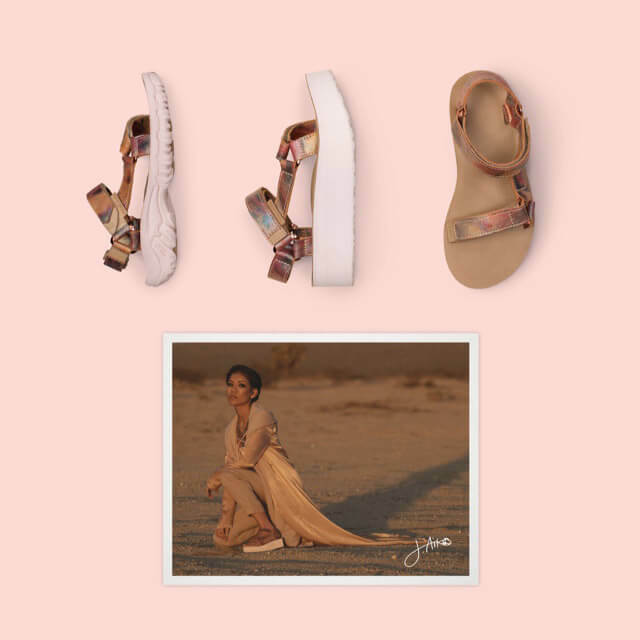 TEVA Jhene Aiko Sweepstakes: Win The Full Teva x Jhené Collection! 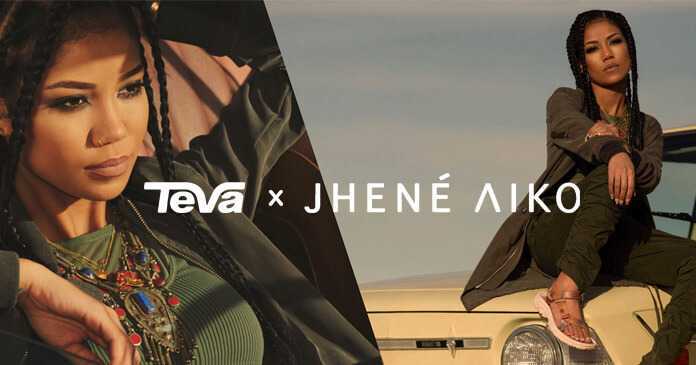 In celebration of the iconic collaboration between TEVA and Jhené Aiko, TEVA is giving away the full Teva x Jhené collection to one lucky fan during the TEVA Jhene Aiko Sweepstakes. Want to win? All you have to do is enter online at teva.com/jhene-aiko-sweepstakes. Hurry, you have until May 8 to participate. One winner will receive a 2017 TEVA X Jhene Aiko Hurricane XLT, TEVA X Jhene Aiko Flatform Universal, Teva X Jhene Aiko Original Universal and signed print from Jhene Aiko. Go to www.teva.com/jhene-aiko-sweepstakes during the Sweepstakes Period. Fill out the entry form by providing your first name, last name, e-mail, date of birth, and zip code. Click the “Submit” button to complete the registration process. You will immediately receive one entry into the Sweepstakes for a chance to win the grand prize. Participation in the TEVA X Jhene Aiko Sweepstakes is open only to legal residents of the 50 United States and District of Columbia who are 18 years or older at time of entry. Begins on Wednesday, May 3, 2017 at 9:00am PST and ends on Monday, May 8, 2017 at 11:59pm PST. Limited a maximum of one Sweepstakes Entry per person during the Promotion Period. Winner will be selected in a random drawing from all eligible entries received on Wednesday, May 10, 2017. To obtain name of prizewinner, send a self-addressed, stamped envelope 4 weeks after the Sweepstakes End Date to the “Sponsor Mailing Address” as described in Section 1 above, attention: TEVA X Jhene Aiko Sweepstakes. For complete details about this Teva Giveaway, please read the official rules.